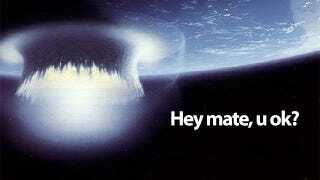 Hey Australia, Is the World Over Yet? I'm writing these lines on December 20, 2:54PM. In Australia, it's December 21, 6:54AM. If you are in Australia, please reply in the comments promptly. We want to know if the world is over yet there or not. Also, if you have spotted any Nibirus, please tell us at once. Thank you.